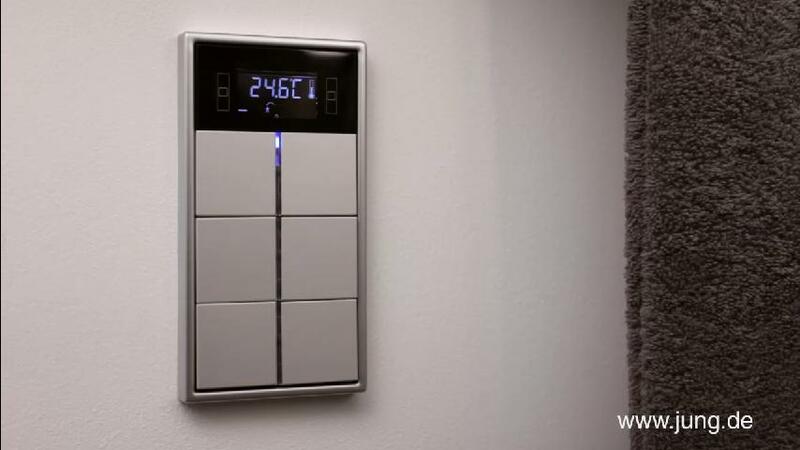 Functionality in the smallest possible space: Use the three large operating panels of the KNX compact room controller to centrally control lighting, temperature, and blinds. The back lighted digital display clearly shows the room, outside or target temperatures together with the current time. The radio shows the benefits with regard to convenience. The KNX RCD Compact bilingual video is available in MP4 and WMV file formats.